Christmas is in the air and you can feel it everywhere in Sant’Antioco. Christmas lights shine in the streets and people are very busy in these days getting ready for all the celebrations. As a fact there’s so much going on in the island at Christmas time: here’s the calendar of all the events. Let me just highlight the main ones, not to be missed if you happen to be around. Su Nascimentu in grutta, Sunday 13th December. 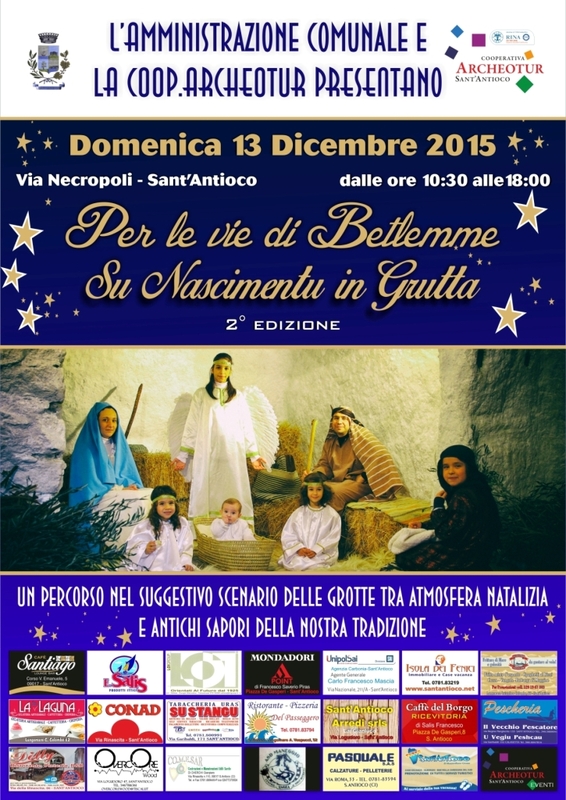 On this day Sant’Antioco’s old town will turn into a great living nativity scene. You will be led in a journey in the old Bethlehem, following the path of the fascinating world of the underground village and of private caves. The Christmas atmosphere and the traditional flavors of the sardinian tradition will complete the experience. Christmas markets, theater, concerts, activities for kids and lots more in Piazza Italia and Piazza Umberto,in Sant’Antioco’s city center. Furthermore Santa Claus will join in these days to collect all the children’s wishes. Don’t miss the exhibit of the nativity of Gianni Salidu in the old roman Source in Piazza Italia. Christmas Balconies Contest: the contest consists in decorating every part of Sant’Antioco’s village with Christmas themed sets. Balconies, shops, restaurants, they all can participate. The winner will be declared on 29th December. Have a look here at some of the participants’ creations. More to come and don’t forget to shoot your own pictures! 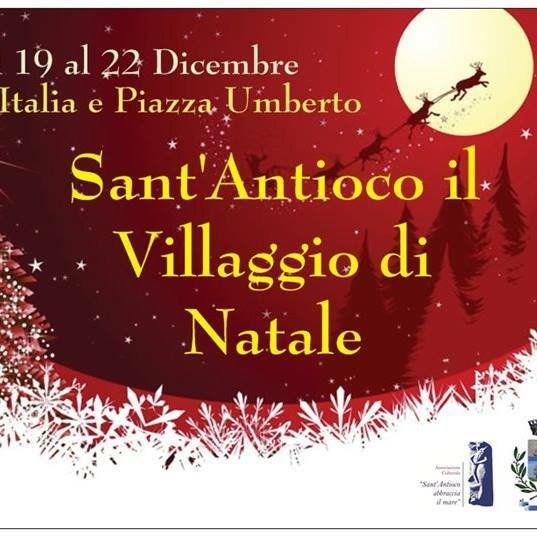 So, have fun in Sant’Antioco this Christmas time! Enjoy all the activities and the weather there: weather forecasts are of sunny and warm (about 18-20 degrees) for the whole period. Wow! Please, if you like taking pictures share some with us on this blog or on the main social networks (facebook, twitter, instagram). Put the hashtag #myXmasinSantantioco so that we can recollect all your Xmas stories! Thanks for your cooperation!